Pioneers in the industry, we offer automated handling system and automated material handling system from India. Highly acclaimed for our vast industrial experience in this domain, we are committed towards offering wide assortments of Automated Handling System. 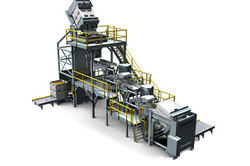 These automated systems are widely used for custom material handling systems in diverse industries. These provided systems are manufactured with the assistance of ultra quality components under the minute guidance of our proficient professionals as per the set industrial standards. Our valued clients can avail this handling system from us as per their specifications within committed time frame. 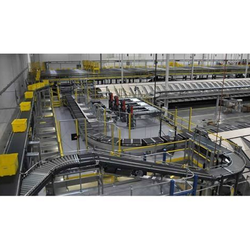 Looking for Automated Handling System ?